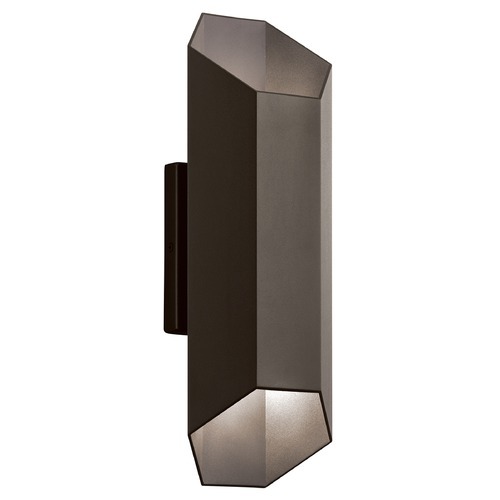 The following are detailed specifications about the Kichler Lighting Estella Textured Architectural Bronze LED Outdoor Wall Light. The International Dark-Sky Association is a non-profit organization that was created in response to the rapid increase in night sky light pollution throughout the United States. 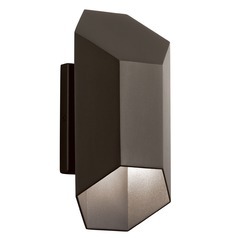 Dark Sky Compliant fixtures help to eliminate night time glare emanating from outdoor light fixtures by concentrating the light output towards the ground. Dark Sky Compliant Fixtures meet International Dark-Sky Association specifications. 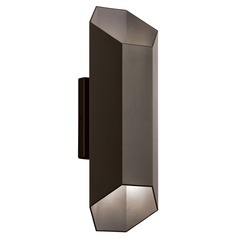 This Kichler Lighting Estella Textured Architectural Bronze LED Outdoor Wall Light is part of the Estella Collection from Kichler Lighting. The following items are also part of the Estella Collection.